One of the earliest posts I ever wrote told a story similar to this one, and it concerned my family’s devotion to a small image of the the Holy Face, and you can read it again here. Statues of St. Joseph holding the Christ Child have long been popular for private altars in the homes of New Orleans Creoles; and many New Orleanians carry miniature representations of the saint in small capsules in their pockets or pocket-books. If a favor is asked of St. Joseph and not granted, the figure is sometimes stood on its head as punishment until the wish is fufilled. …people take their animals to the church, where the priest sprinkles them with holy water and pronounces a benediction to protect them from harm. Tiny metal figures of animals are pinned to pictures of St. Anthony on family altars. When an animal is lost, villagers put his picture in a box and tie a string around it. When the animal is found, its recovery is considered a “miracle”, and the incarcerated saint is released and rewarded with the miniature image of the animal he has found. Angels have been around long before organized religion of any kind. The Archangel Michael represents the element of fire, and fire is the purifier and protector. Napoletani say that prevention is the best protection. Be cautious with your hair and nail clippings. Make sure to always take possession of them after a haircut, manicure and or pedicure and then burn them. If your enemy should ever get a hold of them, they can work evil upon you. This is a protection charm to carry if you are having the feeling that you are the target of psychic attack. It works best if you've cleansed your personal space as well as your body of any negative residue first. 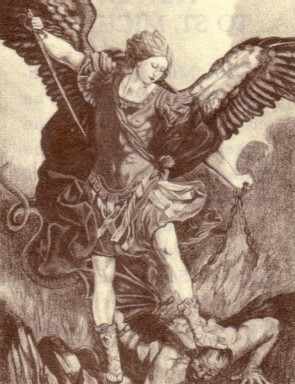 It is customary to invoke the name of the Archangel Michael on behalf someone who has consulted you about feeling powerless due to illness, feelings of impending doom, or a suspicion of being 'psychically' attacked. It is also customary to give them a medal of the Archangel Michael after the person has received spiritual cleansing and/or healing and they have been instructed on how to carry out their own protection ritual. Two separate & distinct feast days are celebrated for Joseph: March 19 for Joseph the Husband of Mary and May 1 for Joseph the Worker. 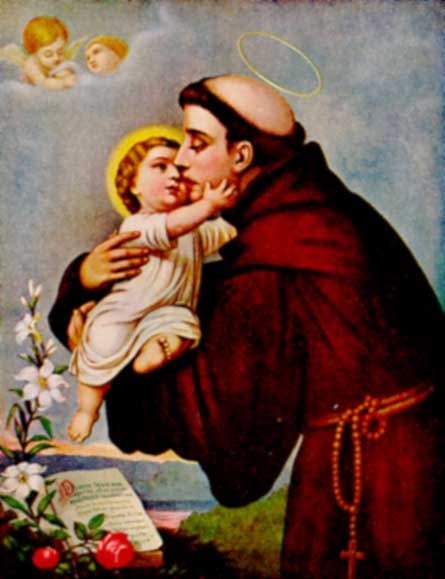 Saint Anthony of Padua is the saint traditionally invoked for help in finding lost objects and in prosperity rituals... and parking spaces! E’ tratta dall’Epistola VIII di questo santo scrittore latino che nacque verso l’anno 200 a Cartagine. E’ sempre un efficacissimo strumento di protezione in molte difficoltà della vita: leggiamola in latino, una delle “lingue magiche” per eccellenza, e portiamone sempre una copia con noi.